Jacob's Well, an interesting Grade I listed building, stands on Trinity Lane, to the side of the church yard of Holy Trinity Church, Micklegate and is the parish room of the church. An unusual medieval building, it was built in around 1474 with an endowment given by Alderman Thomas Nelson. The fifteenth century timber-framed building was constructed as the Chantry House of the priory priest. It originally consisted of an open hall and was extended in the early sixteenth century. The last prioress of St. Clement's, Dame Isabella Ward, retired to live in the house when the nunnery was dissolved by King Henry VIII in 1536. Shortly before her death, Isabel gifted the building back to Holy Trinity Church to provide a charity for the parish. In the eighteenth century, the building was used as a public house and an extra brick storey was added. It became unlicensed in 1904 - 1905 when it was purchased by the rector of the Holy Trinity Church. An extensive renovation was carried out on the building, which included the installation of a new staircase to the north of the original hall and a large bay window in the South Wall. 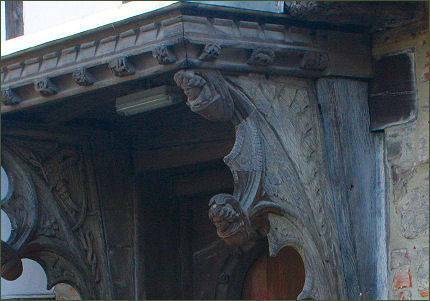 The entrance was at this time improved by the addition of elaboarately carved entrance porch brackets and canopy, which came from the Wheatsheaf Inn in Davygate, formerly the town house of the Bishop of Durham. A survey conducted in the early 1980's followed by monitoring by English Heritage, revealed that the medieval frame had been overloaded by the addition of the extra storey. The third storey was consequently removed and the roof replaced at its 1815 level. 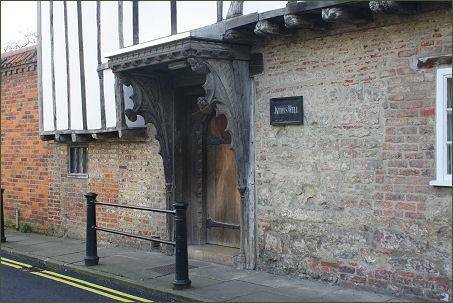 In the 1990's the Gild of Butchers decided to move from their Hall in the Shambles to Jacobs Well.